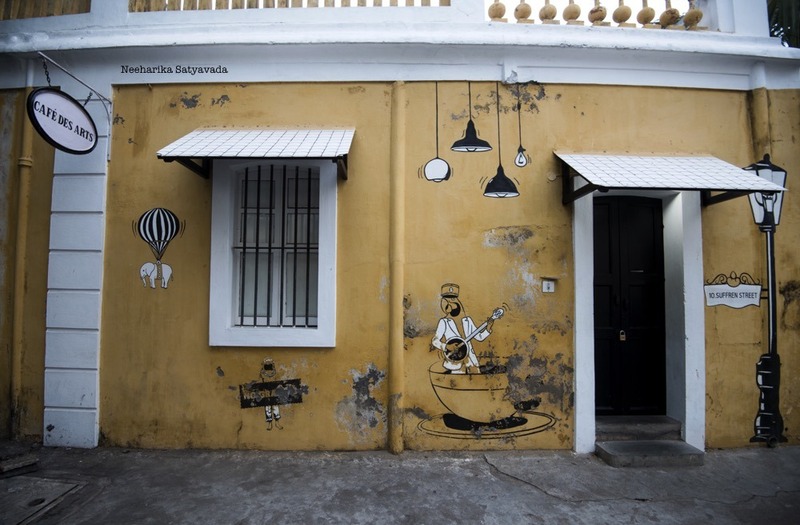 Pondicherry has South India’s most distinctive sub culture. They say if you can’t afford a ticket to Europe, travel to Pondicherry instead. Stroll through the white part of town and be transported in time and place to a laid back French town where cafes cool and inviting are at every turn. But, just how racist are you Puducheri? Does the storm water canal that separates the French and Tamil quarters into neat little grids of White Town and Black Town also exist in your mind? This is Cafè des Arts. It is the most popular Cafe in Pondicherry. Rated #1 on Trip Advisor with a Certificate of Excellence to boot. Here, Indians are not welcome. & this is what transpired in the cafe and on Trip Advisor. Completely missed the point did they? Or do the tone, the numbers and the smattering of French point to something now not just obvious but also reiterated and reinforced?? Forget about being “asked to wait”, if only we were even acknowledged. We are the same people, the very same Indians who wait endlessly in queues outside the Kamats and Rajdhanis of the world for one simple meal. We were refused a table at Villa Shanti too. It is the next ‘Most Popular Cafe in Pondicherry’. We were told they did not have a table, while we all stood in the foyer, right there in an empty cafe. On our second visit there, as we pushed past the half closed door, we were ushered in with a grimace from the very same head waiter. Well, every other cafe in Pondicherry was closed because of the Jalli Kattu protests going on that day. Though we definitely felt unwelcome and awkward, the food was good and the experience “okay”. This is the same Pondicherry where Indian citizens were once offered a choice of French Citizenship as an era came to an end. It is the same Pondicherry where old war veterans, till today, turn up on the streets in the full glory of their erstwhile military uniform on Bastille Day every year. It is also the same Pondicherry that I so love, for in its neat little blocks, self reliance comes easy to a girl who just wants to explore, camera in hand. Very disappointing especially the aggression in the response to your review!! Not one conciliatory word!! Am sure there are less well known cafes to go to, where staff have retained their humility!! True! Thanks to these guys we actually ended up discovering a lesser known but beautiful garden cafe in an old French house. It’s appalling, this fascination to impress at the cost of your own countrymen. These cafes are definitely off my list forever! Yes, to be treated like that in your country. 🙄 There should be more like you who shun these kinda places!